Established for over 25 years, we are a specialist commercial cleaning company mostly known for our reputation of providing daily and periodic cleaning services to the hotel sector but did you know we also provide one off cleans too to a wide range of sectors. 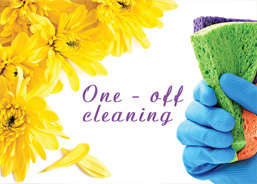 So whether you work in an office, restaurant, shop, warehouse, school or college, medical practice, leisure facility or something else if you require a one off clean, we are the company who can help. Our services include canopy cleaning, carpet and upholstery cleaning, marble and granite cleaning and maintenance, window cleaning, deep cleaning and floor cleaning and maintenance. We are operational 24/7, 365 days a year too so if you need the work to be undertaken out of hours, no problem we can do that too and we are SafeContractor Approved and Members of the Federation of Window Cleaners. Free, no obligation quotes available upon request, call 020 86694377 today. Established in 1992, we have been providing commercial and office customers from across Surrey, Kent, London and the South East with the very best in specialist cleaning for over 20 years.